Ancient groves of redwood and oak alternate with open fields across this stunningly beautiful landscape – and the South Fork of the Little Sur River runs through the middle of it all. No trails or roads traverse the area proposed for Wilderness designation. 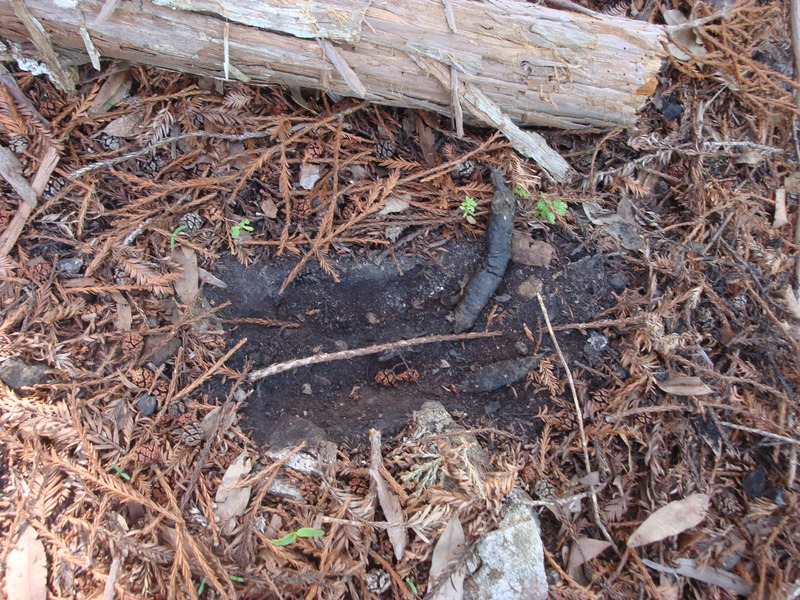 By following deer trails, like this one, the visitor can wander through field and forest for hours without ever seeing a sign of another human. 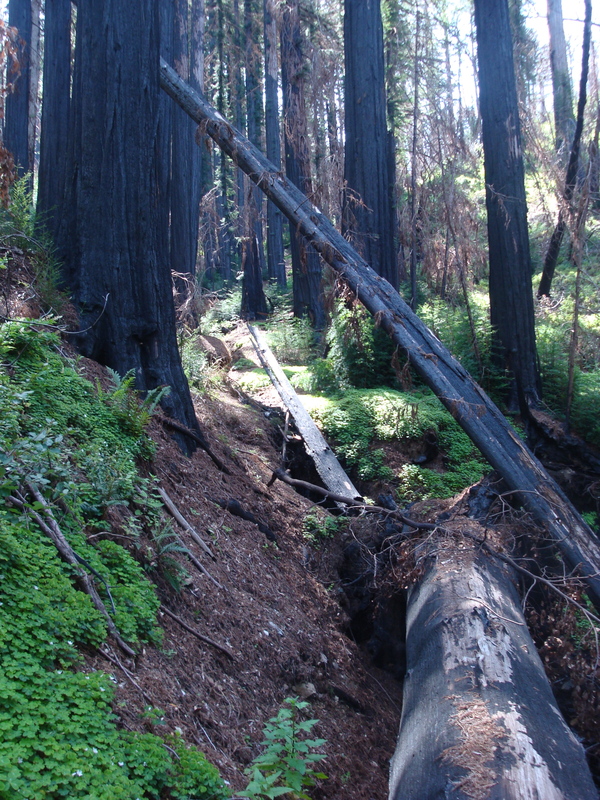 Although the area had not burned for a very long time before the Basin Complex Fire, very few redwoods appear to have been killed. The fire cleared out the understory, but left the canopy largely intact. Same goes for the veteran oaks that dot the ridgelines. 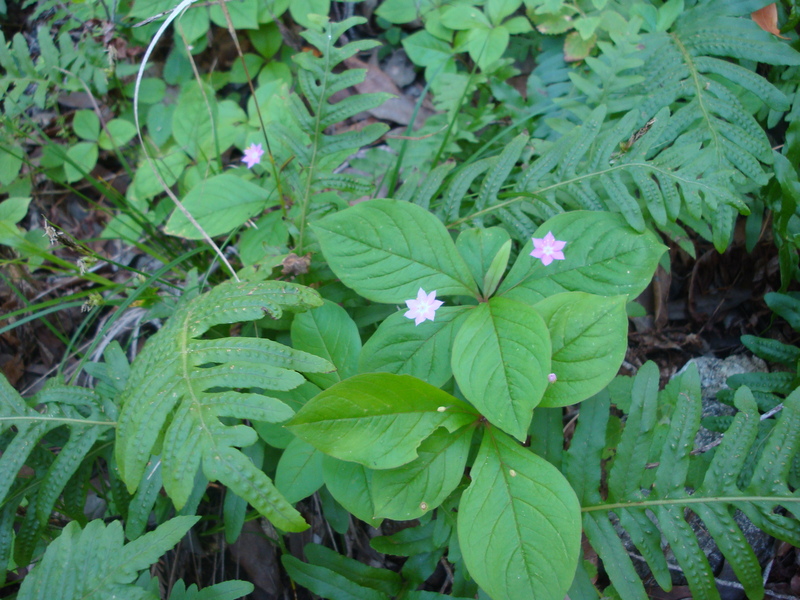 Pacific Starflower (Trientalis latifolia) blooming on the floor of the redwood forest. The litter box of a very large kitty. Where logs make the best trails. 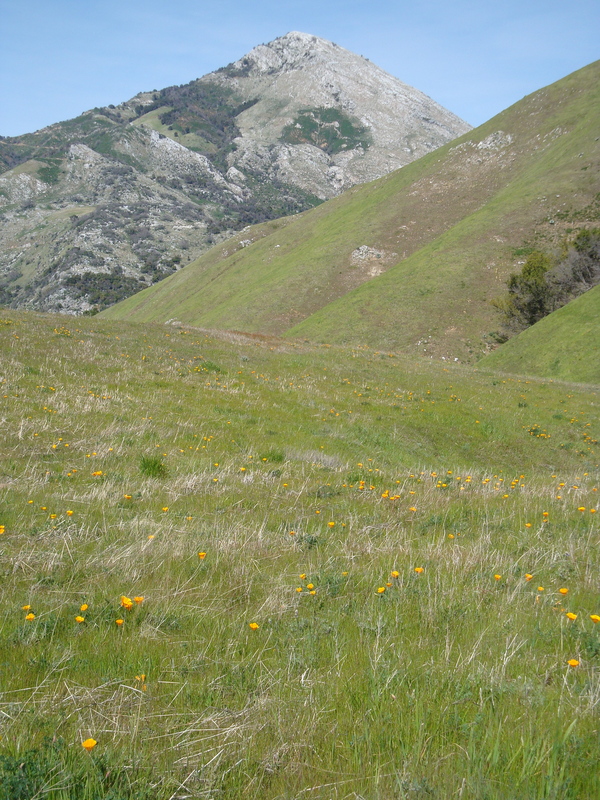 Popcorn Flower (Plagiobothrys nothofulvus) and California Poppies (Eschscholzia californica) dot an open field. 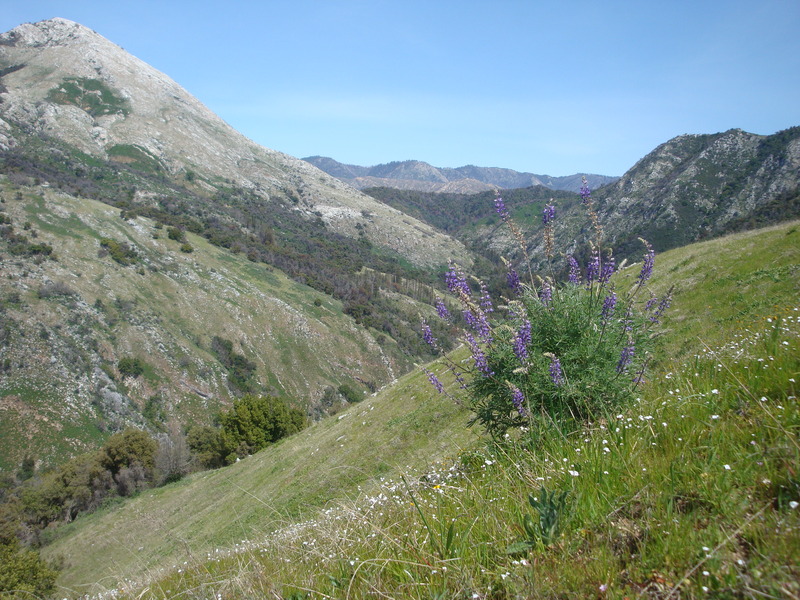 Silver Lupine (Lupinus albifrons) and Popcorn Flower overlooking Pico Blanco and the South Fork of the Little Sur. Pat Spring is visible in the far background. 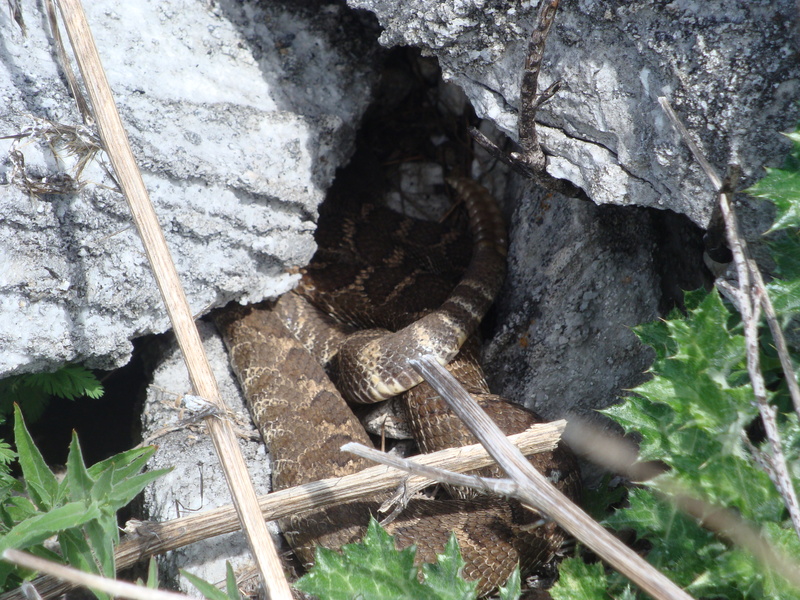 At least two rattlesnakes were buzzing and hissing in the cracks of this limestone outcrop. Looking down on the ridge that separates the Big and Little Sur watersheds. The mouth of the Big Sur River can be seen on the left and Pt. Sur on the right. The proposed Wilderness boundary is set back 200 feet from the old jeep trail that runs along the ridge to ensure that there can be no question of Wilderness designation interfering with anyone’s ability to use the ridge as a firebreak. 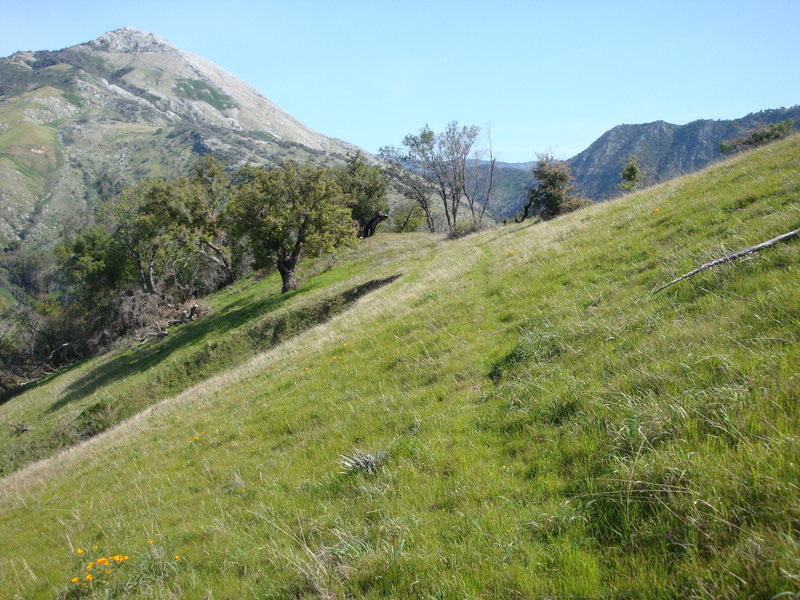 When a fire or other emergency is actually in progress, of course, bulldozers and other mechanized equipment can be used within designated Wilderness, so the point of keeping this ridge out of Wilderness designation is really to make it easier to use mechanized equipment to maintain a firebreak in anticipation of fire – should someone someday have the inclination and funding to do so. 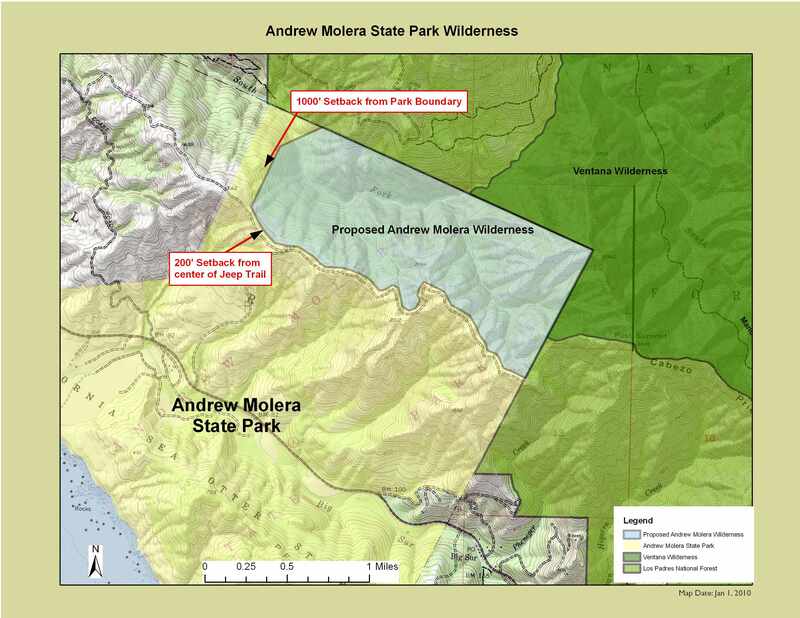 Unfortunately, a rumor has been making the rounds that the proposed Molera Wilderness will somehow interfere with the so-called “Big Box” fire line (a series of fire lines encircling most of the Ventana Wilderness). This is untrue. The portion of the Big Box line in question runs north from Post Summit (along the north trending ridge visible on the map at the top of this post), touches the easternmost corner of the proposed Wilderness and continues descending steeply north to cross the South Fork of the Little Sur River. You will notice, if you look at the map, that this portion of the Big Box line (like most of the Big Box) is already within the Ventana Wilderness. 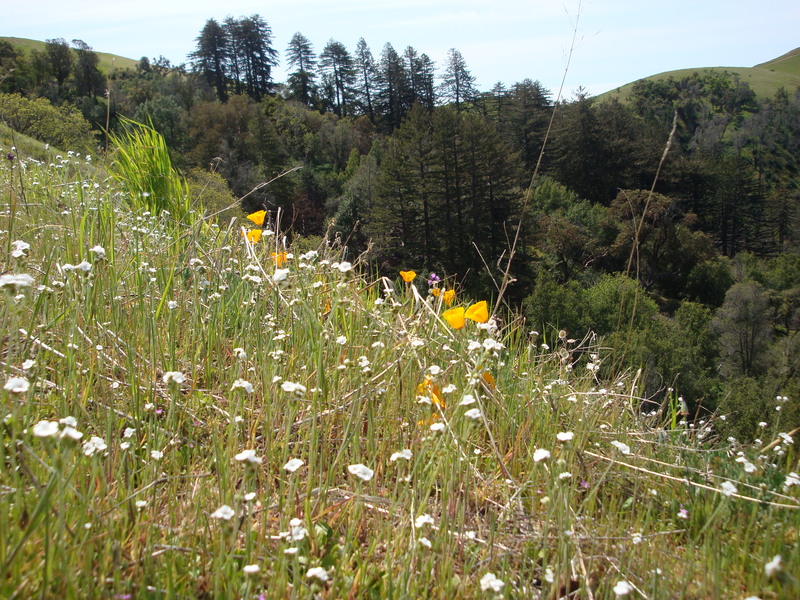 As it is already in designated Wilderness it will not be affected by the creation of the proposed Molera Wilderness in any way. The recent concern over Wilderness and the Big Box line arises because some community members, following the Basin Complex Fire, have been calling for the Big Box line to be kept permanently open and maintained (using bulldozers and other mechanized equipment). We think this is unlikely to happen for the simple reason that the fire protection benefits would likely be quite small and the expense (in both direct costs and environmental damage) would likely be quite great. This is a National Forest, remember, that doesn’t even have the funds to maintain its major trails. And in the three times that the Big Box lines have been used (including during the especially ferocious Marble Cone Fire, when the line had to be built completely from scratch) getting it built before the fire arrives has never been a problem. The problem has been holding the line when the fire finally reaches it – which suggests that hiring more firefighters might be a more cost effective plan. Big Sur’s real nightmare fire scenario is not a massive fire escaping from the Wilderness, but a fire carelessly started along Highway One that makes a quick run up one of the inhabited canyons before a major firefighting effort can be launched. Even during the Basin Complex, most of the homes lost were destroyed by the Gallery Fire which started outside the Big Box and did not burn through Wilderness to reach those homes. If there’s funding available for fire prevention work, it should probably be focused on reducing the risk from fires that start in, or near, inhabited areas. If you live in a high fire hazard area, it’s not a question of if, it’s a question of when. All the fire lines in the world will never be any substitute for maintaining adequate clearance around your home and, if possible, building your home of fire resistant materials. 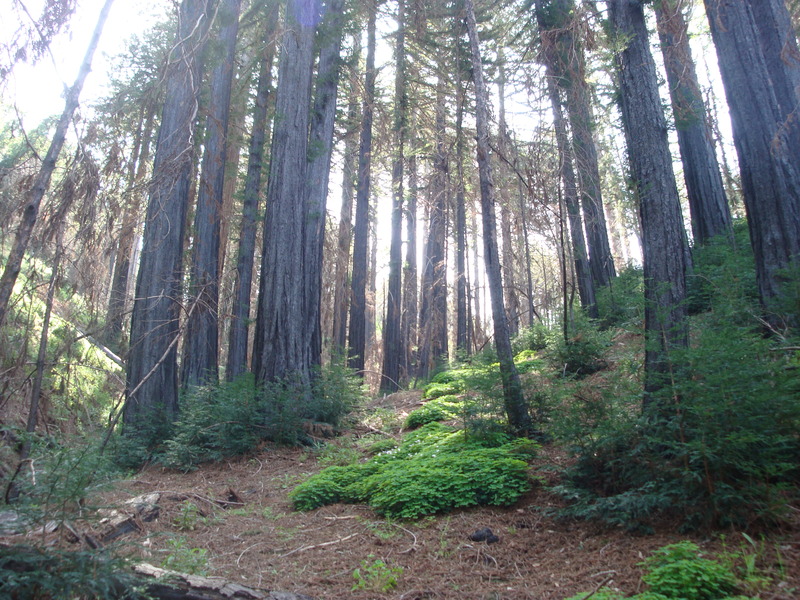 The vast majority of property owners in Big Sur and elsewhere DO NOT NEED A PERMIT to do the necessary clearance work – and maintaining that clearance is REQUIRED BY LAW. Ask you local fire department for details. If exceptional circumstances (endangered species? critical habitat or viewshed issues?) make you concerned that a permit might be required in your case, please contact the Monterey County Planning Department. They are well aware of the importance of fire clearance and will help you to resolve the issue as quickly as possible. Since this land has remained pristine up to this time, and it’s already part of a State Park, why is giving it Wilderness designation important? It’s important because the state can’t otherwise be trusted to treat this land with the care and respect it deserves. On the back side of the ridge – out of sight and out of mind. Some Sacramento functionary who’s never seen the place could easily decide that selling it off would be a good way to raise money, or that it would make a good place for developing facilities of one kind or another. 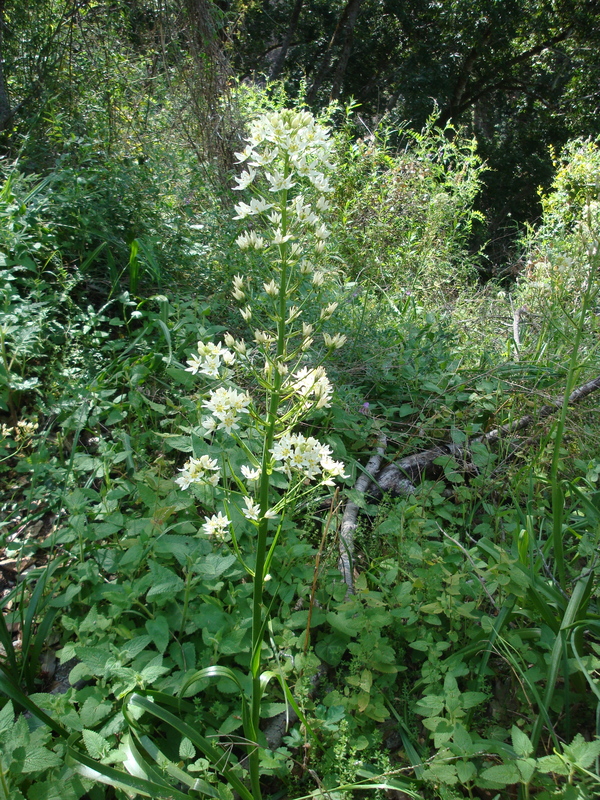 By designating this land as Wilderness the State Legislature would be telling State Parks to leave it as it is. 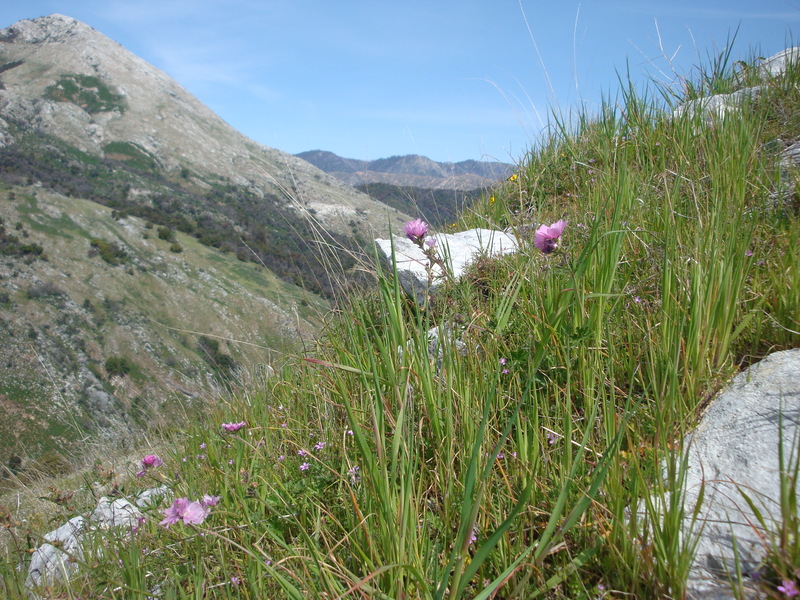 See our follow-up post, Molera Wilderness Proposal Withdrawn, for an update. 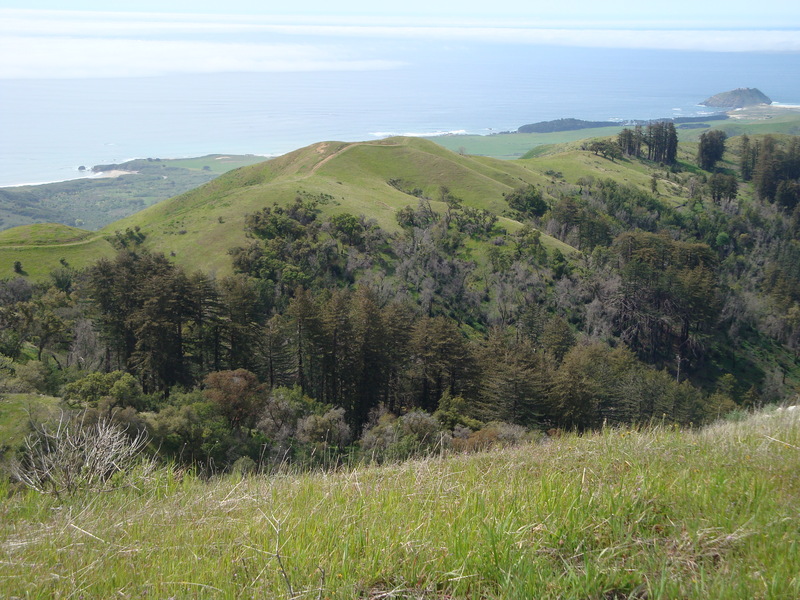 See our March 2011 post, East Molera & Post Summit, for a trip up the East Molera Trail to the top of Post Summit. 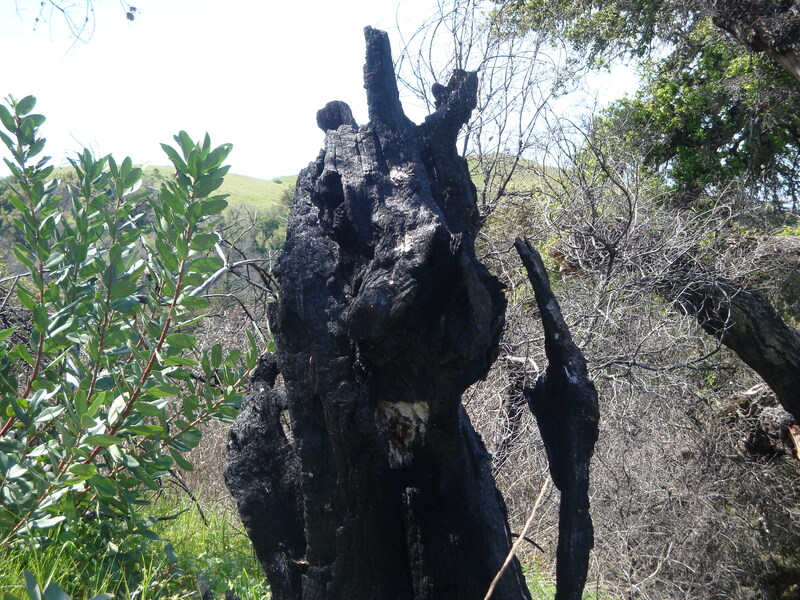 This entry was posted on Sunday, March 28th, 2010 at 10:32 pm and is filed under Big Sur, Fire, Flood & Apocalypse, On Foot, Plants, Santa Lucias, Wildflowers. You can follow any responses to this entry through the RSS 2.0 feed. You can leave a response, or trackback from your own site. Very beautifully put. Thank you. Your comments are both rational and passionate at the same time. Well stated and thoughtful. 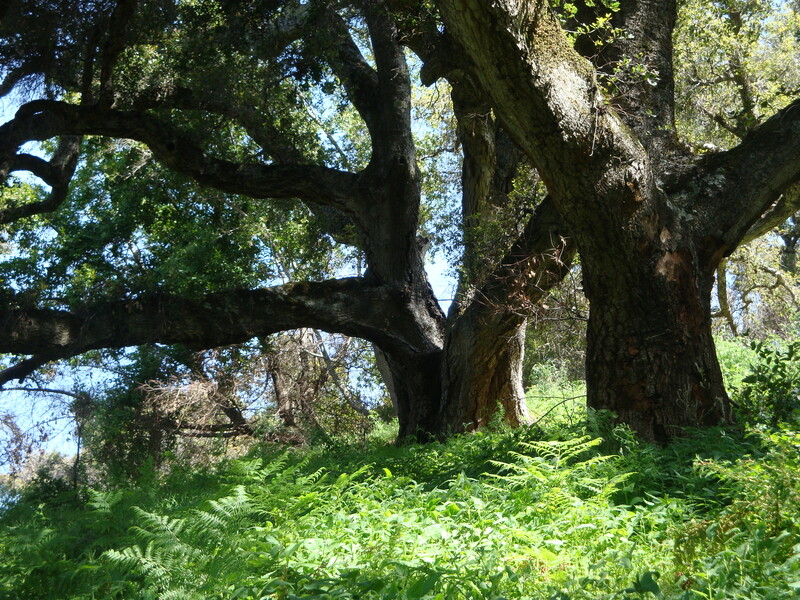 Long live the Molera Wilderness and the wild lands of the Santa Lucia Mountains. Beautiful photos, XT. It is one of the many places I cannot physically get to, so nice to be able to at least view it from my computer screen. Now, I could have done without seeing the healthy rattlers – but they are a fact of life around here. well put. as a former resident of big sur who is familiar with this area, i can add that is truly deserving of protection. and as a current resident and neighbor of another california state park i can say that i have zero trust in the state park administration to make the right decisions about an area out of the public eye. all too often i see the state park machinery churning away, all with the best intentions, and at great expense, and coming to the wrong decision. this proposed wilderness seems to be a ‘no-brainer’–unless you nave no brain.